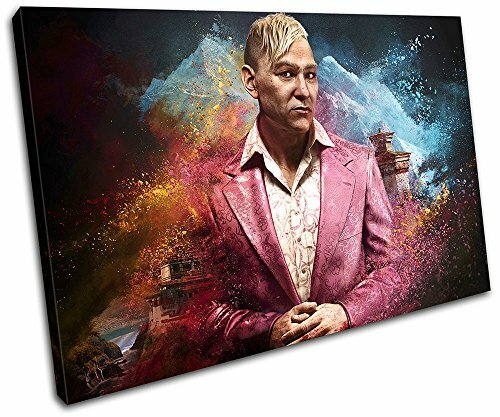 Today we’re stepping away from the more obvious Valentine’s Day gifts and bringing you a selection of amazing and beautiful wall art for the gamer in your life. 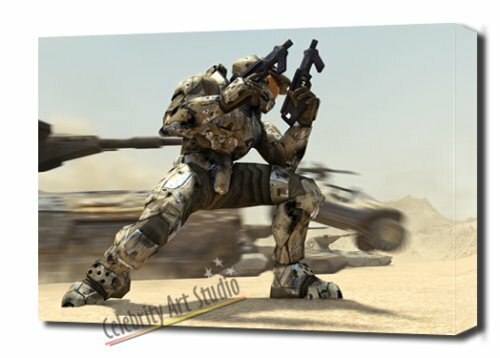 These canvas box framed prints of various game scenes continue from a couple of earlier posts about fantastic art books and the stunning calendars for gamers. 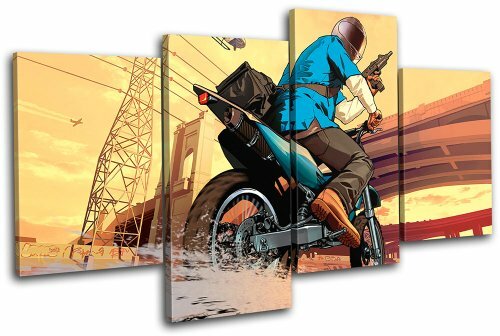 I’m sure many gamers have posters on their walls of their favorite games but these gorgeous gallery wrapped canvas prints take game art to another level. 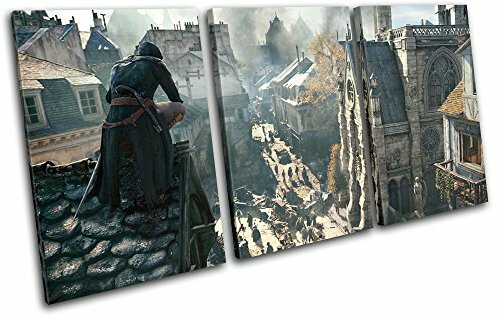 Game art has become art in its’ own right which is why one of these canvas prints would make a fantastic gift for Valentine’s Day this year. 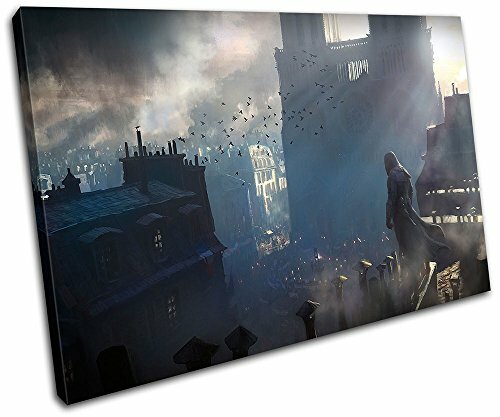 I’ve never played Assassin’s Creed but this first print is so beautiful, I’d hang it on my wall anyway! 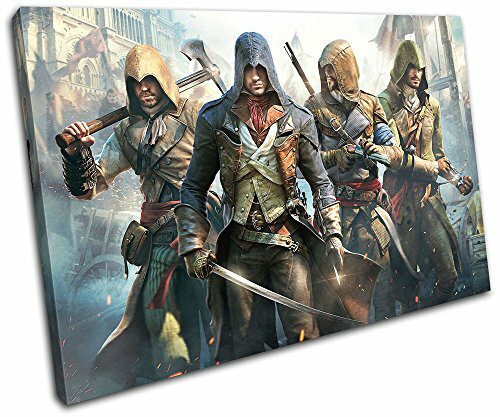 Each of these Assassin’s Creed prints are available in several styles – the single large print, a 3 part print and some have 4 part prints. 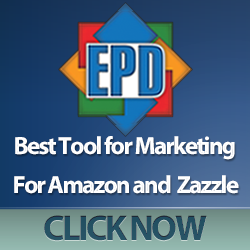 Each style also has multiple sizes available too. 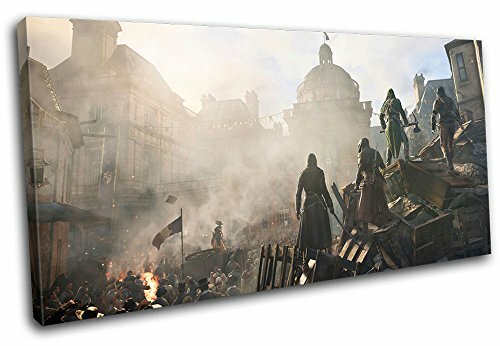 As Unity is set in Paris at the time of the French Revolution, the views over the historic Paris rooftops remind me of Les Miserables! 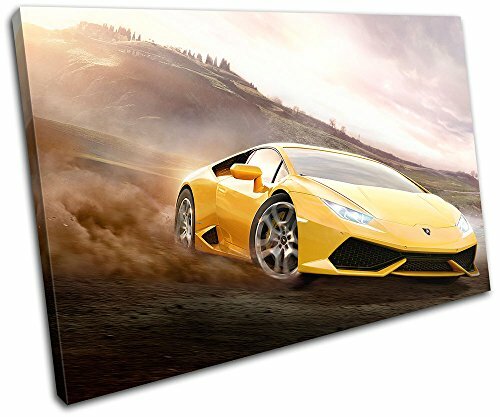 When I think of art in games, I don’t tend to think about Grand Theft Auto or Forza Horizon but if you’re looking for a piece of stunning wall art that your guy will love and is easy on the eyes for you too, then one of these might be perfect! I do like that yellow car, it’s a beast! 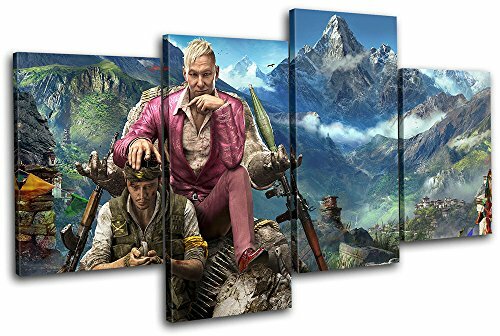 Far Cry 4 has amazingly detailed in game graphics so to me, it’s a shame they have included the guy in the pink suit in these prints but I guess that would be me missing the point again! The beauty of the game screenshots on Google is so good that I had to look twice to make sure they weren’t real world photographs! 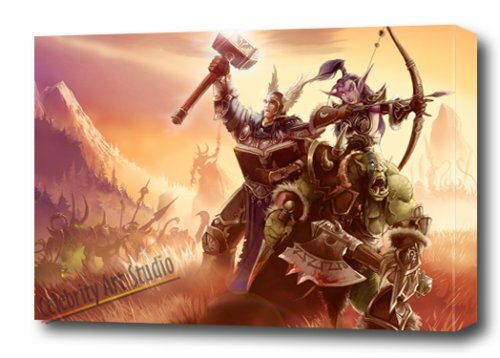 My main game is World of Warcraft so I was surprised to find so few canvas prints available. The in-game scenery is so well done that it occasionally stops me in my tracks to take a screenshot but maybe that’s my inner photographer coming out! 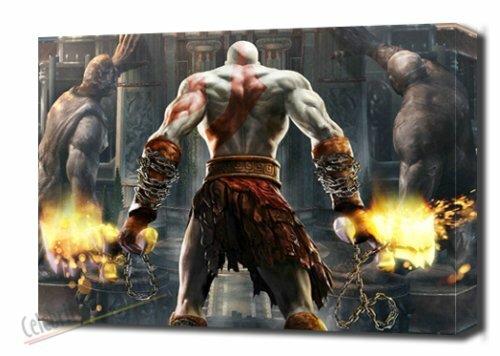 Both the Halo 2 and God of War Kratos prints are stunning and would look great on the wall in any man cave! 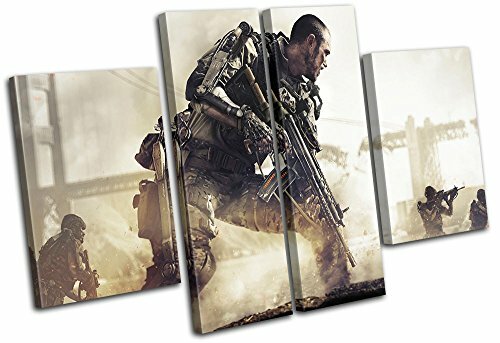 There are hundreds of gaming prints and posters available but I thought these box framed canvas prints were pretty special and deserved a post of their own! They aren’t the most obvious Valentine’s Day gift but if you’re looking for something just a little bit out of the ordinary and beautiful too then these prints may be the perfect solution for you.